Introduction: In contrast to a paper I did a few years ago on “Science and Theology in the Middle Ages,” which focused solely on the Latin Middle Ages and almost exclusively on the period from 1200 to 1500, I shall expand my vistas considerably today and place the relations between Christianity and science in a broad societal context ranging from the beginnings of Christianity to the end of the Middle Ages. Although my topic is primarily on the relations between science and religion in Western Europe, I shall also briefly describe the same interrelationships in Islam, with the hope of better understanding Christian developments. While Western Europe was in a truly “dark age” as far as science and philosophy are concerned, we know that Islam brought the technical sciences — mathematics, physics, especially optics, and astronomy— and medicine to a high level. 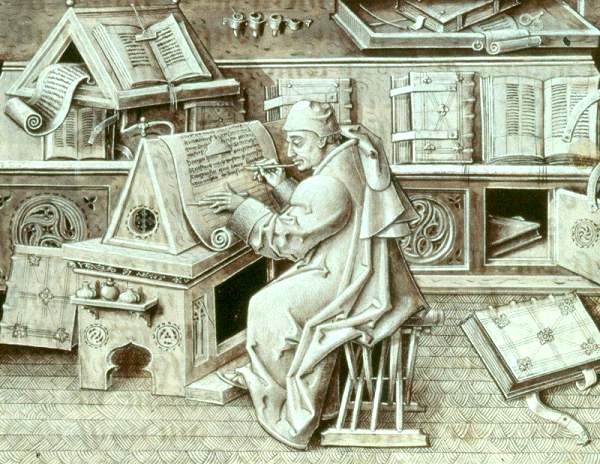 We are also well aware that during the twelfth and thirteenth centuries, Western Europeans translated a large number of scientific and philosophic works from Arabic into Latin, and to a lesser extent from Greek into Latin. At the heart of this massive infusion of scientific learning were the works of Aristotle. The university system of education that emerged in Western Europe in the thirteenth century would be based on this body of Greco-Arabic scientific learning, which has remained a significant part of our educational inheritance ever since. But as this was happening in the West, things were quite different in Islam,‘ ” where natural philosophy was on the defensive as it had been almost from its introduction. Science also began to lose its momentum and began to slowly wither away. According to Simon Van Den Bergh (Averroes’ Tahafut al- Tahafut – The Incoherence of the Incoherence), “the culmination of the philosophy of Islam was in the tenth and eleventh centuries,” which was “the age of the great theologians.” “In the struggle in Islam between Philosophy and Theology, Philosophy was defeated, and the final blow to the philosophers was given in Ghazali’s attack on Philosophy” in the late eleventh or early twelfth century and which Averroes tried to ‘answer in the late twelfth century in his book, The Incoherence of the Incoherence. Although the theologians defeated the philosophers with Greek ideas derived in part from the Greek Stoics and Sceptics, philosophy and natural philosophy were spent forces by the fifteenth or sixteenth century, if not considerably before, perhaps even with the death of Averroes at the end of the twelfth century.